Being from the Manchester region (well, Rochdale's Middleton cousin), The Courteeners were never likely to start their existence quietly. In true time-honoured North-West tradition, debut-single "Cavorting" sported a natty title and enough power to scare the National Grid. 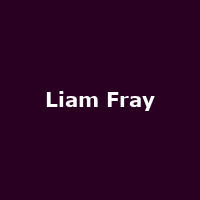 Some six years later, Liam Fray and co continue to sell out shows at the drop of a baseball cap, as well as frequently occupying the Album Charts - each one of their albums from the 2008 debut "St Jude", through 2010's "Falcon" and this year's "Anna" has broken into the Top 10, the latter actually a prospect for the top spot at one stage. Of course, good songs truly shine when stripped back from their usual rowdy group setting and The Courteeners' fist-pumping anthems are no exception. Hence, singer and song-writing frontman Liam Fray will be embarking on a short acoustic tour in the autumn. It's not the first time Fray has gone solo - his last tour was only a few months ago - but it's the first batch of solo dates since the success of "Anna", the band's most recent album. The shows include the opening night in Liverpool on 19th September, followed by Leeds, Glasgow and many more until Manchester on the 29th. Tickets are on sale now, priced from £15 upwards. Meanwhile, during the summer, the band can be seen out and about at various festivals including V Festival and Belsonic.